The Walt Disney Family Museum shines the spotlight on Walt's lifelong fascination with trains in their new exhibition, All Aboard: A Celebration of Walt's Trains, running now through February 9th. Over 200 artifacts document the influence railroading had on Walt's life and work and its importance to the Walt Disney Company even today. This is a different kind of special exhibition for the museum. While past shows have focused on a specific artist (Mary Blair, Tyrus Wong) or film (Snow White and the Seven Dwarfs), Walt's Trains covers a broader spectrum of history and ideas. We not only learn about Walt's early experiences with trains (he was a news butcher in his youth, selling magazines and snacks on the trains traveling in and around Kansas City), but we also see how trains worked their way into the cartoons and films Walt produced (Dumbo, The Great Locomotive Chase). Naturally, Walt's beloved Carolwood Pacific, the scale model train layout he operated in his Holmby Hills backyard, is represented as are the many trains of Disneyland including the Santa Fe and Disneyland Railroad, the Mine Train Thru Nature's Wonderland and the Casey Jr. Circus Train. 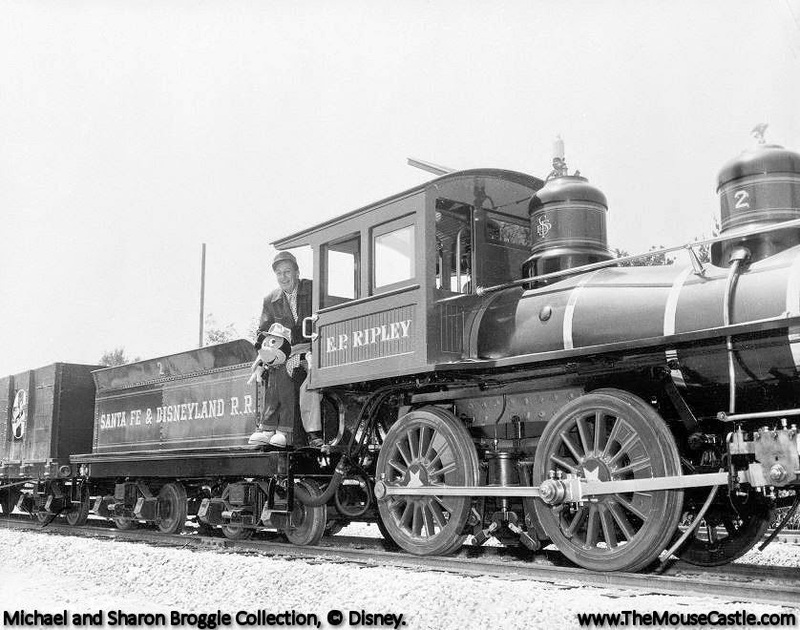 Also included in the exhibition are train-related items belonging to Disney Legends Ward Kimball and Ollie Johnston, who also shared Walt's passion for railroading. 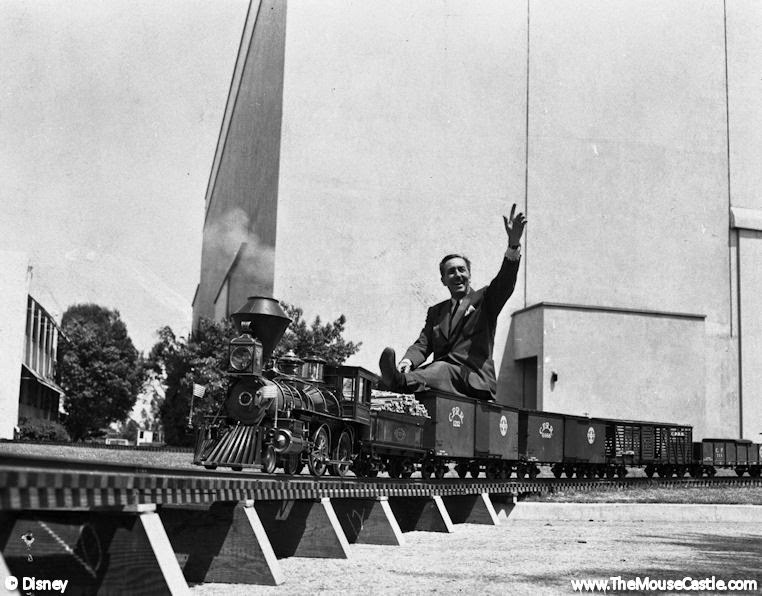 Walt taking the Carolwood Pacific for a test run at the studio in 1951. 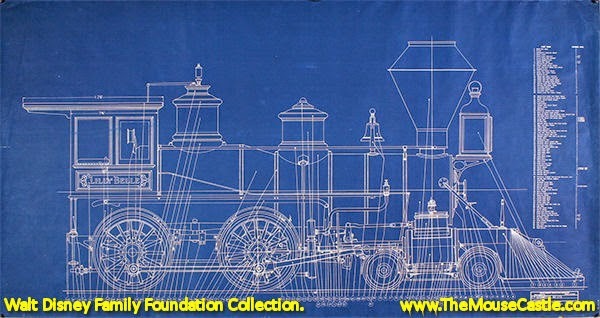 Design drawing for the Lilly Belle, named for Walt's wife. Crossover track from the Carolwood Pacific Railroad. 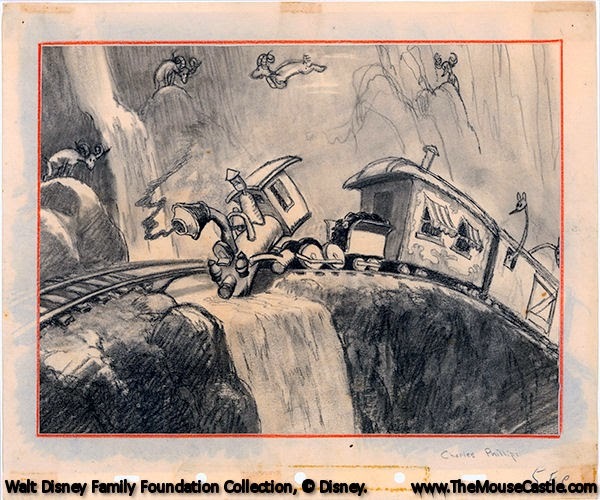 Casey Jr. story sketch from Dumbo (1941). Side panel from the Ernest S. Marsh locomotive that once circled Disneyland. knew that Walt was behind the throttle. Walt aboard the E.P. Ripley at Disneyland in 1955.
the Mine Train and the Casey Jr. Circus Train. at the Walt Disney Family Museum. "...The Disneyland Limited now leaving for a Grand Circle Tour..."
Walt's Trains at the Walt Disney Family Museum. This weekend, Kirsten Komoroske, executive director of the Walt Disney Family Museum, and guest curator Michael Campbell will be my guests in The Mouse Castle Lounge as we talk about Walt's Trains. 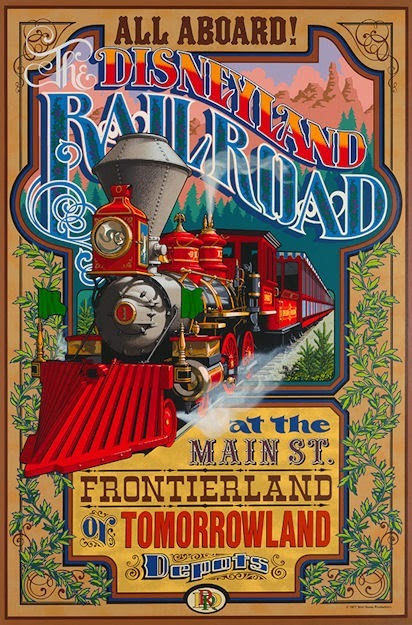 For more information, visit www.waltdisney.org/trains.